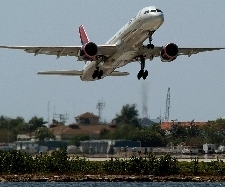 (CNS Business): In the continuing success story for air arrivals in the Cayman Islands the latest statistics from the Department of Tourism show that at the halfway point of 2013, overnight visitors to Cayman have increased by 6% compared to 2012 which was also a record breaking year. So far over 192,000 people have visited Cayman and stayed overnight guaranteeing that 2013 will be a great year for tourism. In addition, June 2013 had the best statistics since current records began. However in stark contrast the sorry saga for the local cruise industry continues as officials report another all-time low when it comes to the number of cruise visitors coming to Grand Cayman with the worst June on record.